At Heal My Voice, we believe that women are pivotal role models in their homes, communities, and institutions. Our purpose is to support the individual power and leadership potential by helping women heal, reclaim inner authority and step into greater leadership at the dinner table, in their communities and in the world. After leading an initial workshop at Chrysalis House in May 2013, Andrea Hylen and Beth Terrence began adapting the innovative nine-month Heal My Voice process used in all of the Heal My Voice book circle projects. This very special year long project was active from May 2013 to December 2014. Weekly writing circles were led by Beth at the Chrysalis House. Monthly workshops were led by a variety of Heal My Voice Authors with expertise in creativity, healing modalities, and leadership skills. Chrysalis House is special because it allows the children of the women to stay with them while receiving treatment. This is worth doing because of the real-life impact these women’s empowerment will have on their children. We use an innovative process to bring together women in a facilitated writing project with writing circles, monthly creativity workshops and dedicated support. Founded by Andrea Hylen, Heal My Voice is a non-profit committed to reaching women in transitional facilities such as prison, rehabilitation and shelters. The activity that was most successful was journal writing in personal journals the women created with composition books, photos and art from magazines and the freedom to write anything. In essence, a place to write out feelings, pain, joy and desire. Chrysalis House, Inc. has a sole purpose: to enhance treatment opportunities and outcomes for women suffering from alcoholism and other drug dependence. 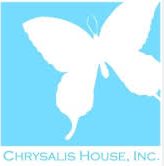 Chrysalis House, Inc. is one of the leading agencies in Maryland, providing addiction treatment and prevention services for women and their at-risk children. The nonprofit organization operates three residential treatment facilities: Chrysalis House located in Crownsville, MD, Avery Halfway House in Rockville, MD and Chrysalis House Healthy Start in Baltimore, MD. In addition to residential services, the organization provides an outpatient treatment program called W.A.T.C.H.